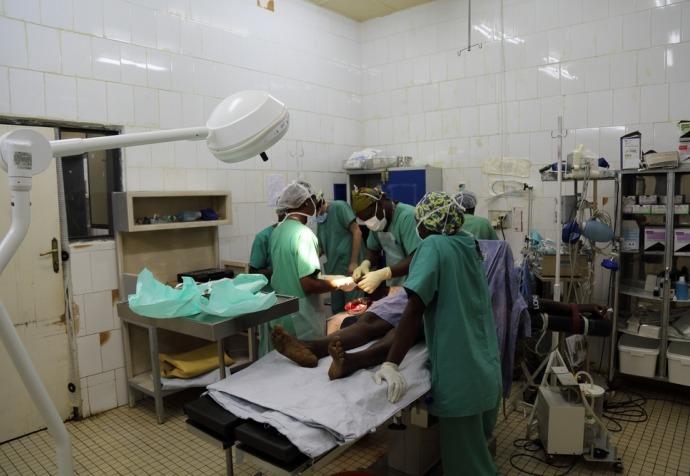 Dr Claire Fotheringham works for MSF as an obstetrician-gynaecologist, and has recently returned from her third placement, in Democratic Republic of Congo. In Masisi Hospital, Claire reviewed Caesarean sections with the national staff doctors, and rostered herself on for night shift. 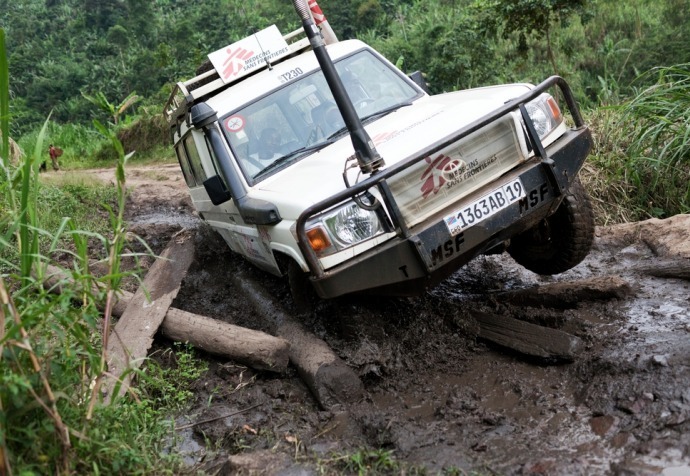 “In DRC Medecins Sans Frontieres has been collaborating closely with the Ministry of Health in Masisi, and the care has been managed by the local doctors for quite a few years now. I was asked to have a look because it had been a couple of years since an obstetrician had visited from outside and the percentage of caesarean sections compared to normal births was increasing. "Staying overnight was new to my work plan so it just needed a few extra arrangements"
Without a doubt C-sections where appropriate are a life-saving operation for the mother, and for the baby, but there are also risks associated with them. There are the immediate risks of the surgery—women are more likely to die soon after such surgery than they are after a normal birth—and more importantly the long-term risks: they create a scar on your uterus and in the next pregnancy there can be the risk of that scar rupturing. The more C-sections, the more that risk goes up. There are also other specific risks: placenta praevia [when the placenta blocks the entrance to the uterus], placenta accreta [when the placenta attaches to the uterine wall], and risk of hysterectomy. But it’s not always easy to access a hospital in DRC in the next pregnancy if you have a complication like this, so you really want to make sure that the C-section was necessary. This is why providing a C-section is really always a balancing act between need and risk. My role was to look into the reason for the C-sections and if there were too many, to do education and training and teaching with the local doctors to try to reduce the number. I decided to do a night shift because during the day time there is a doctor who is not an obstetrician-gynaecologist, but he’s been working in that area for the last four or five years so he has a lot of experience. Overnight, on the other hand, there is one doctor for the whole hospital. It’s a rotation system so all of the doctors, whether they normally do paediatrics, or general medicine, they are on for the whole hospital and as a result they have to deal with any of the maternity problems and do the C-sections. It means that they’re constantly trying to balance lots of different problems. "My role was to look into the reason for the C-sections and if there were too many, to do education and training and teaching with the local doctors to try to reduce the number"
Medecins Sans Frontieres began activities in Masisi in 2007, in a context that had been affected by conflict for two decades and caused massive population displacement. With ongoing needs in the region due to sporadic fighting and a lack of health facilities, Medecins Sans Frontieres’ project supports Masisi General Hospital and Masisi and Nyabiondo health centres. The teams in these three facilities support the full extent of primary and secondary health care services (surgery, internal medicine, gynaecology, maternity, paediatrics and neonatology) and undertake mobile clinics. In 2015, the hospital registered nearly 4,000 deliveries, 8,000 hospitalisations, 3,300 surgeries and more than 300 cases of sexual violence.